A top HSBC banker has said that if he wasn’t gay he probably wouldn’t have made it to the position of chief executive of the bank’s British business. Antonio Simoes, 39, who is originally from Portugal, said that being gay has been “an advantage” for him, the Independent reported. 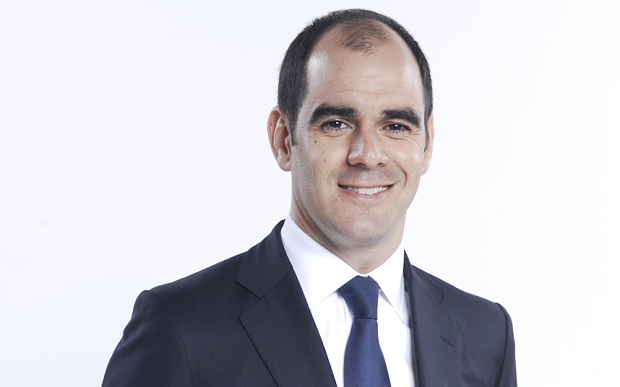 Dr David Perl, who runs tailored programmes in Peak Performance for business leaders and other high achievers, welcomed Mr Simoes’s comments: “What is particularly important is that Antonio Simoes emphasises emotional intelligence as a key aspect of effective leadership”. Dr Perl explains: “The so-called ‘soft-skills’ – empathy, attunement, self-awareness, the ability to connect with others – are sometimes under-valued at the top of business”. Dr Perl continues: “A good leader, one with emotional intelligence can build teams and delegate or assign tasks in a way which motivates others and generates enthusiasm and goodwill. This really does have a positive effect on the bottom line”. HSBC – A FAILURE OF LEADERSHIP?